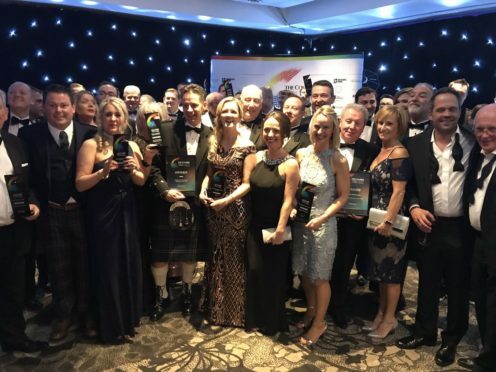 Some of the main winners at the 2018 Courier Business Awards. In all, 23 awards were handed out at our glittering ceremony in the Apex Hotel, with Castle Water of Blairgowrie taking home the coveted Business of the Year prize. The ceremony also saw Mike Galloway, the former executive director of city development at Dundee City Council, recognised.